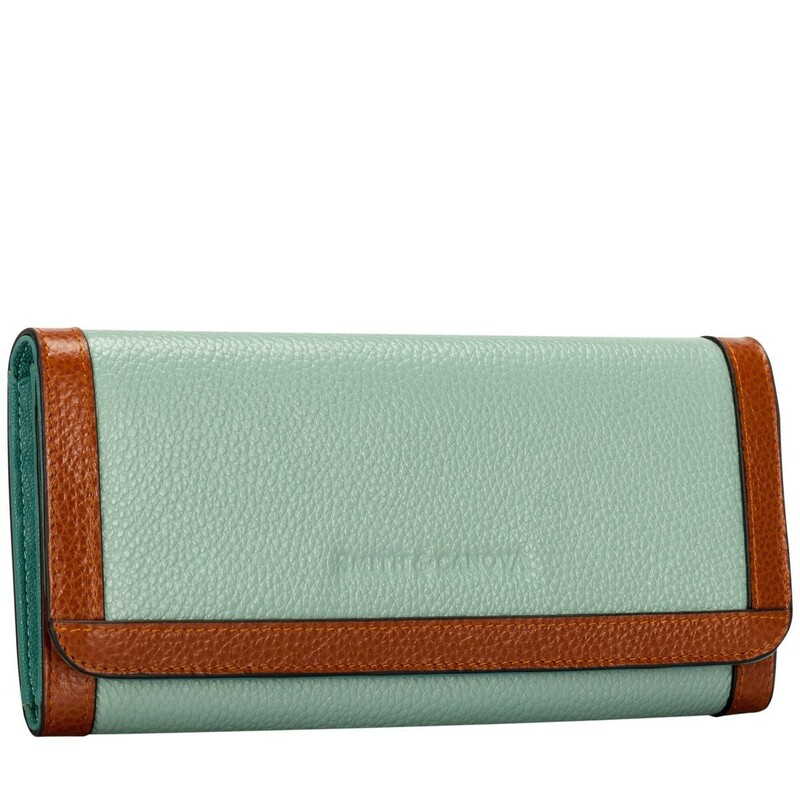 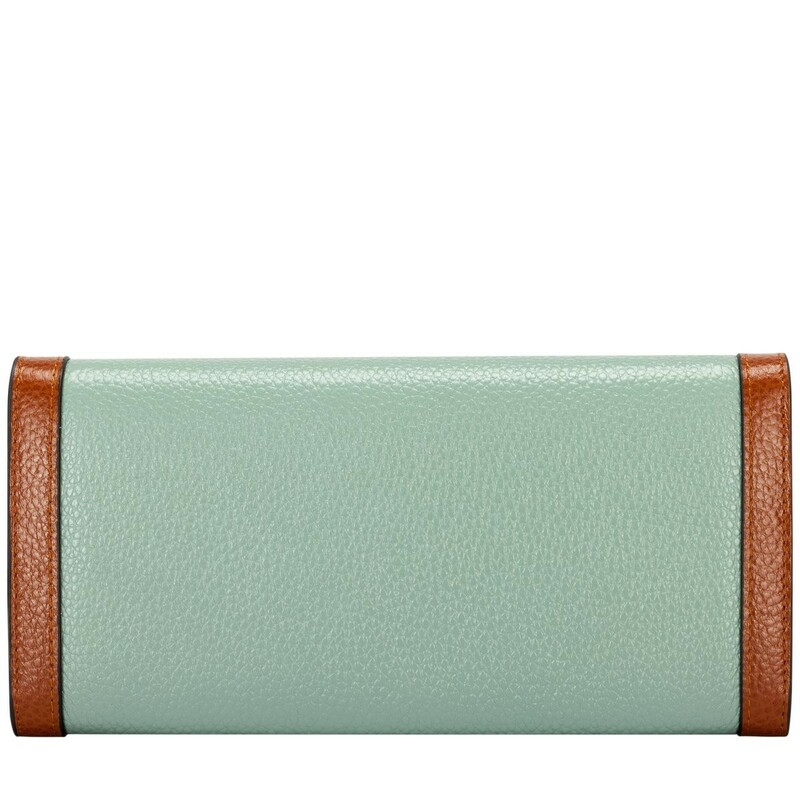 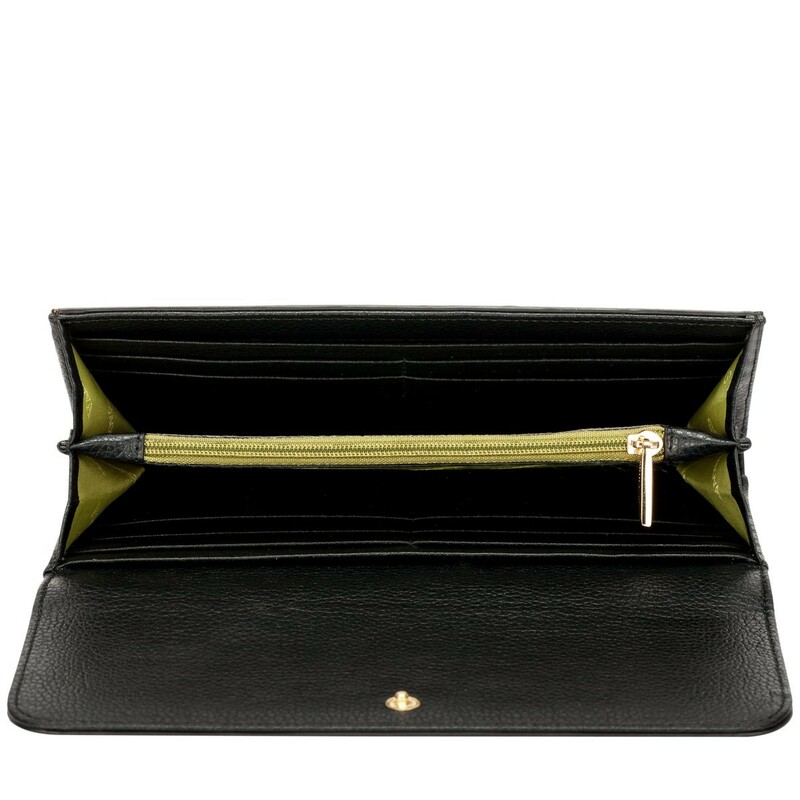 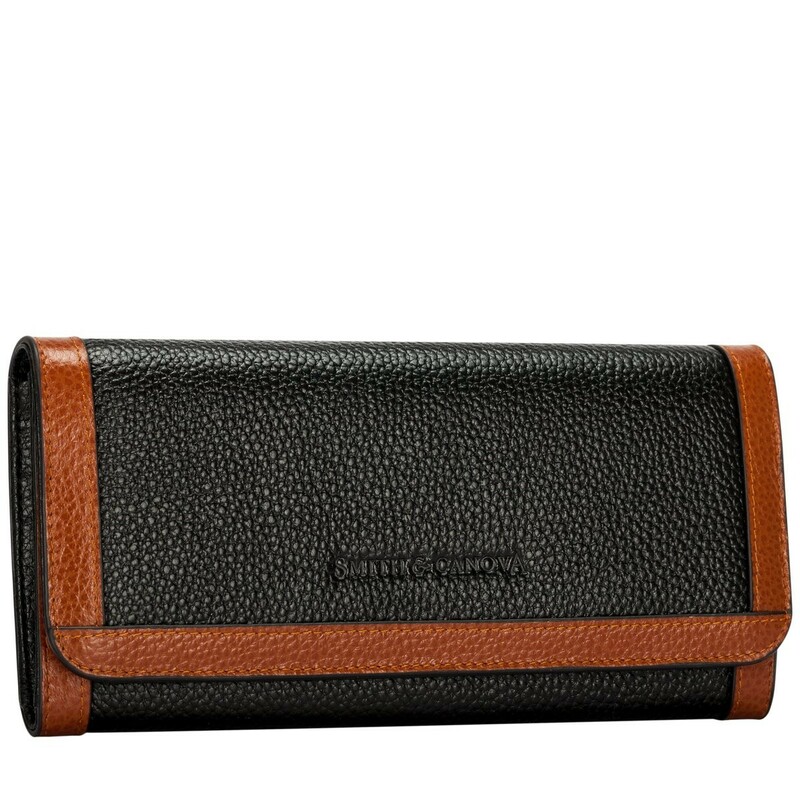 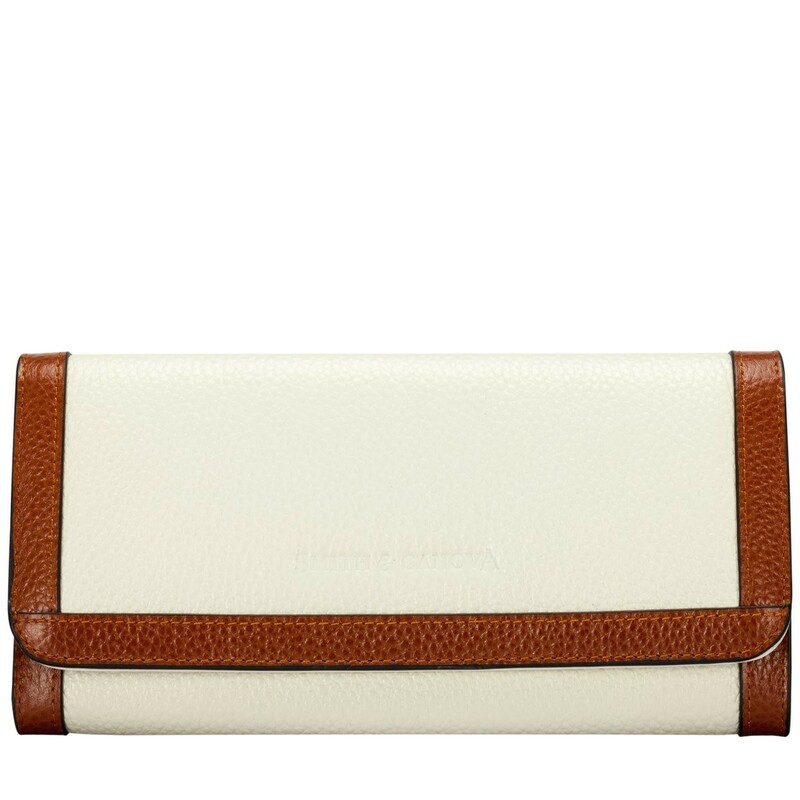 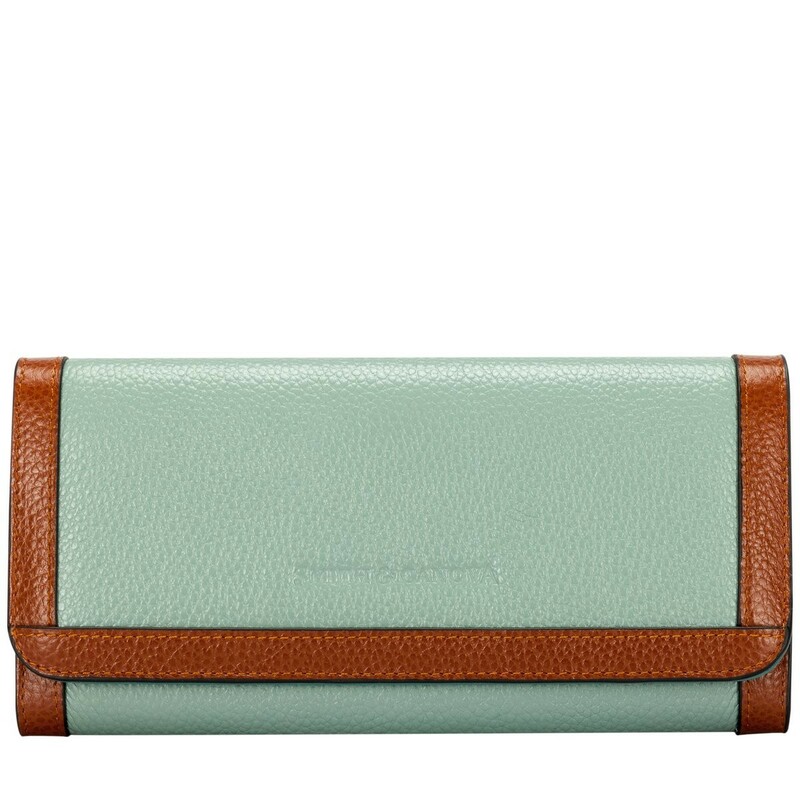 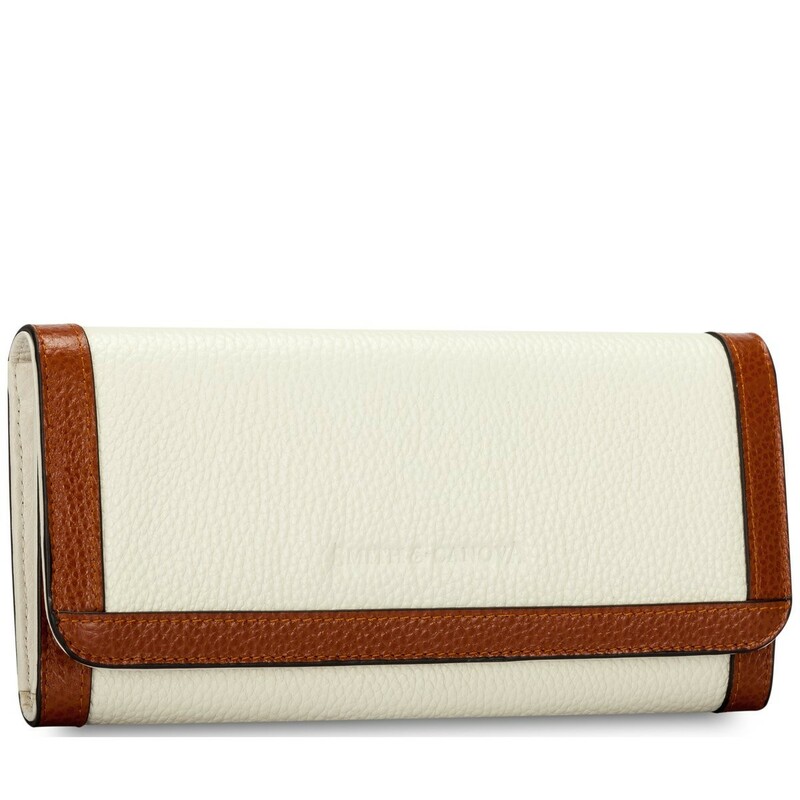 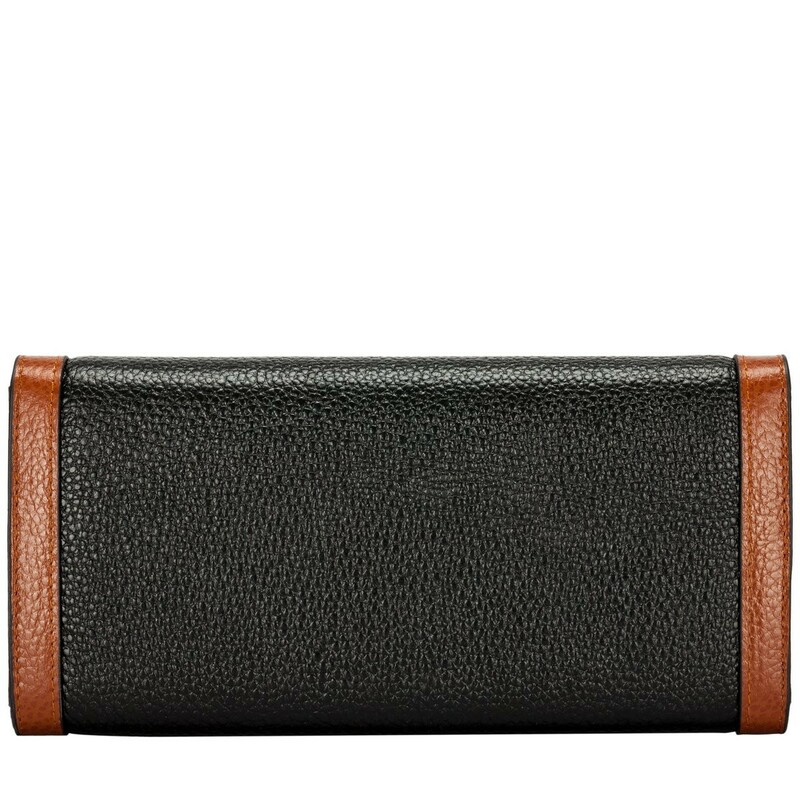 Crafted with pebbled leather, this smart purse is the perfect traditional style. 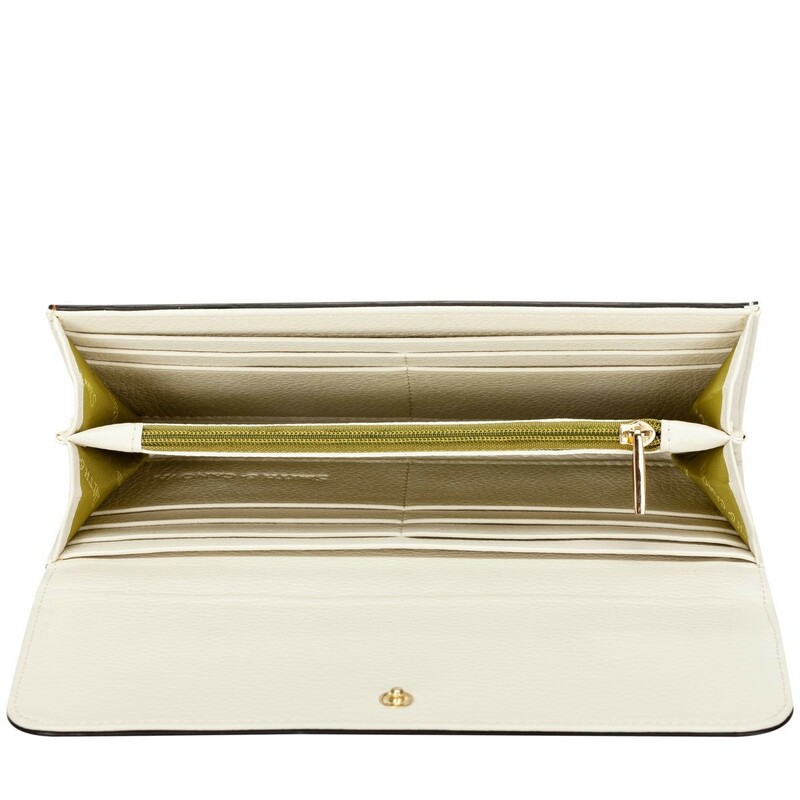 The flap over front detail is lined with a contrasting trim, complementing the contemporary design. 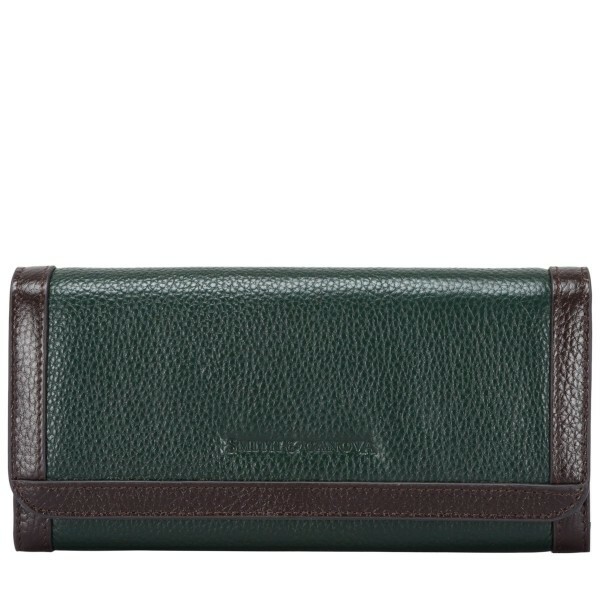 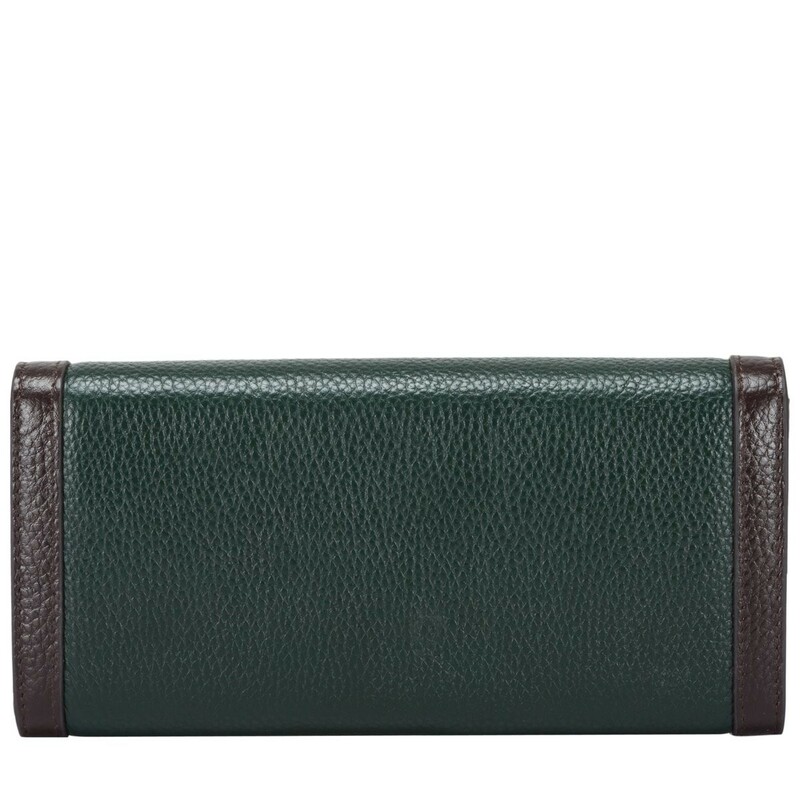 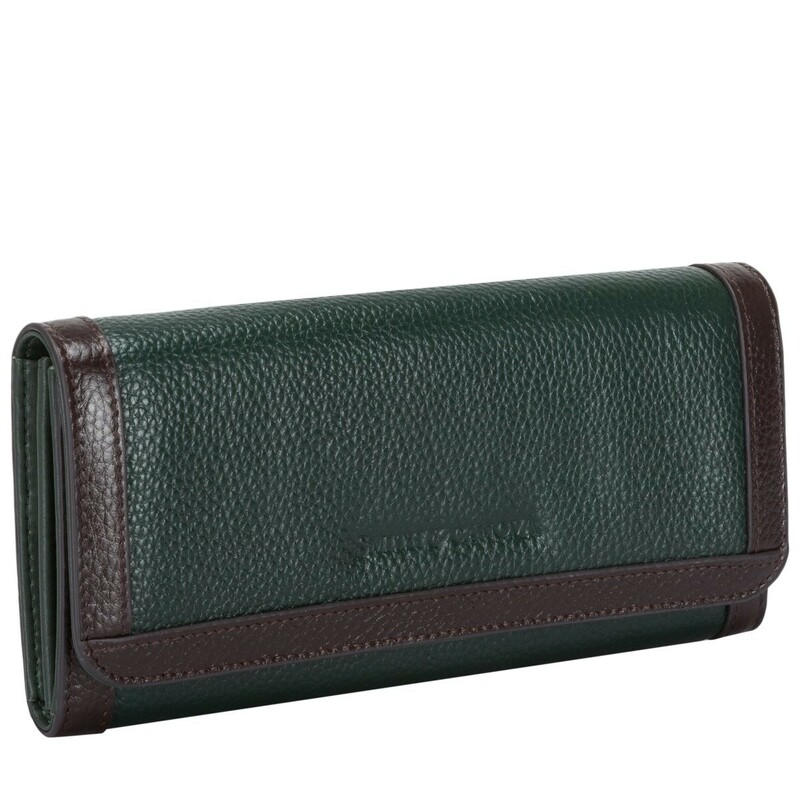 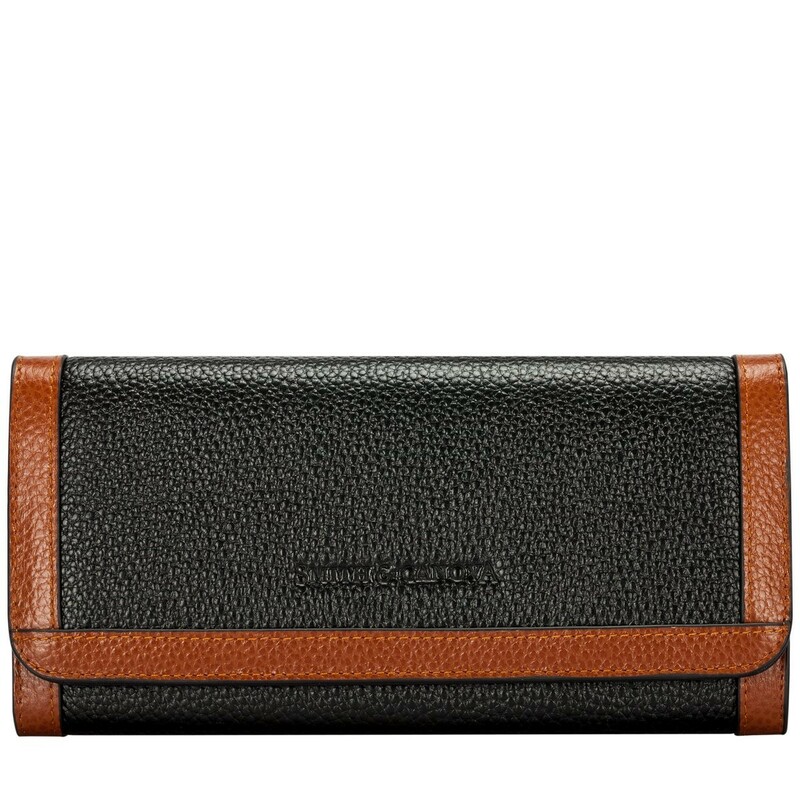 Inside reveals plenty of card slots and spaces to keep your currency organised.